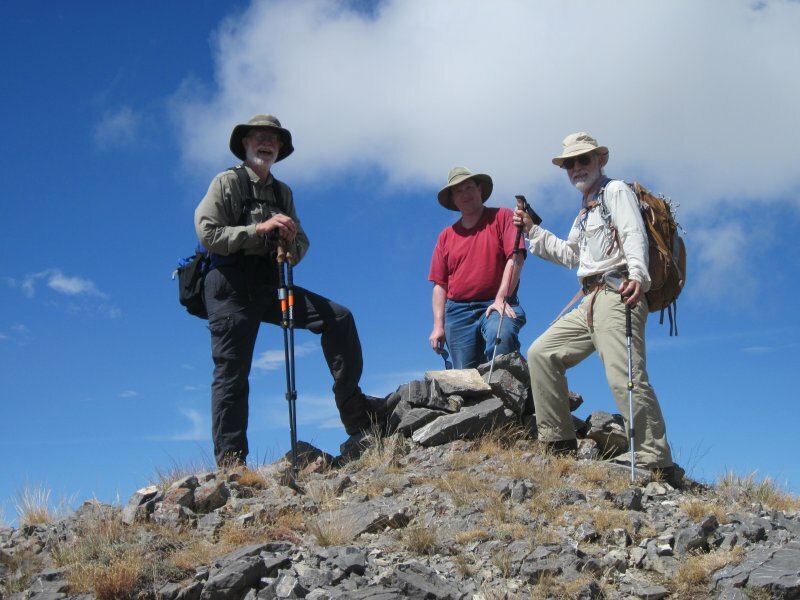 Dave P. led the Cache Hikers to Mount Jardine in the Mount Naomi Wilderness Area. We have explored several routes to this peak in recent years, and this route promised to be the most direct way. We planned to start hiking up the trail we usually call the "Green Canyon Trail", but that name officially belongs to a hiking/biking/horse trail in lower Green Canyon. In fact, our trail actually is the south-western end of the Mt. 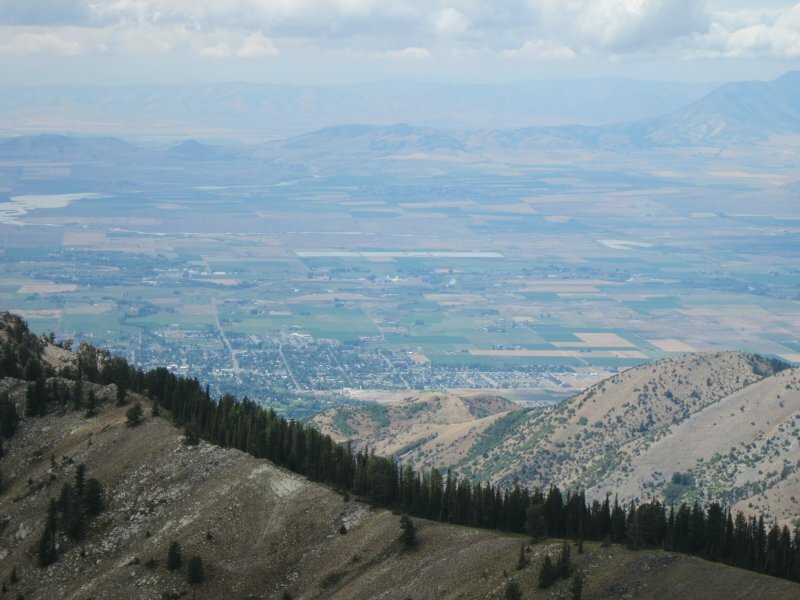 Naomi Peak National Recreation Trail (NRT), a 24-mile wilderness trail extending from Green Canyon to High Creek, with access to Tony Grove and Naomi Peak along the way. A morning thunderstorm threatened to interfere with our plans, but the weather cleared by 8:00, our usual meeting time. 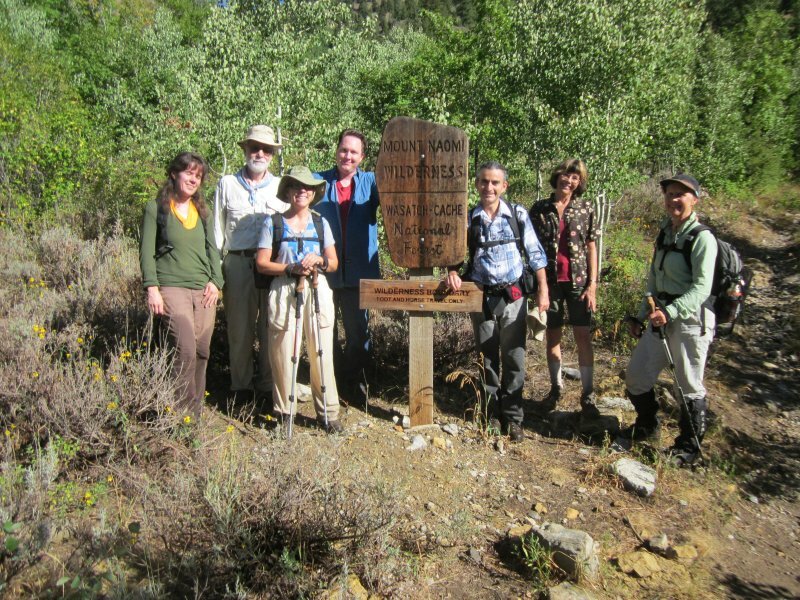 Eight hikers joined this event; Dave P., Dave W., Denis, Ryan, Kathy, Jane, Anne and Florence. The rough road to the Green Canyon Trailhead made for slow travel, so we did not actually start hiking until nearly an hour after we left Logan. Long, wet grass along the first two miles of trail soaked our legs, but we knew our long pants would be appreciated during the off-trail section below Mount Jardine. The watering troughs at mile 2.75 provided a pleasant spot for a late morning rest. We were still at the spring when a group of horse packers arrived, three riders and five heavily-laden pack stock, on their way to set up a wilderness hunting camp. 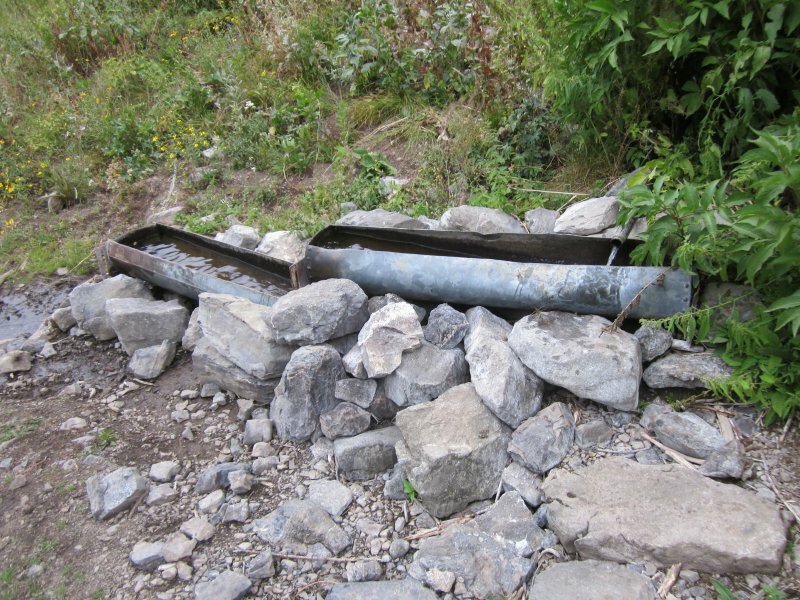 After less than 1/4 mile past the water trough spring, we came to the unsigned junction that marked our departure from the main trail. A few years ago trail crews started building an alternate route along the south-facing slope at this point in an apparent attempt to bypass difficult terrain on the other side. The new trail segment only goes about 2/3 mile before it stops, compelling up-canyon hiker travelers to descend to the canyon bottom and cross over to the old trail on the other side. However, we realized this new trail segment could be an excellent place to start an off-trail trek up to Mount Jardine. We took the new trail up the south-facing slope for about 0.4 miles. This was the turn-around point for three of our hikers, and the others headed directly up the ridge toward Mt. Jardine. Topographic maps actually show a trail along this route, but we found no trace of it (it is marked as trail 131 on the map, below). Nevertheless, although steep and moderately brushy, this ridge route proved to be a quick and relatively easy way to Mount Jardine. Fortunately we enjoyed cool temperatures and a partially cloudy sky, since this open, south-facing slope could be brutal under a blazing sun in hot weather. We started back down after a leisurely lunch and photo session on the peak, just as dark clouds started moving in from the southwest. The threat of rain soon became reality, but fortunately the main storm held off until we were safely in our vehicle, driving down Green Canyon. (This was the northern edge of a major storm, with severe winds and flooding along Wasatch Front to the south). Our hike to Mount Jardine totaled eight miles with 3300 feet of elevation and six hours duration. The three hikers who went back early traveled 6.5 miles and 2200 feet of elevation. By splitting into two groups, we were able to combine a long, strenuous hike with a shorter and easier option, an approach we likely will take into account when planning future outings. The Wilderness boundary, 1.75 miles into the hike.